Hey Kids. Baseball is a lot of fun! Everyone likes to smack a baseball with a bat, and nothing feels better than making a great throw or catch in the field. You will learn how to do all of these things in Waterdown baseball. You will learn these skills while having fun with your friends and meeting new friends. 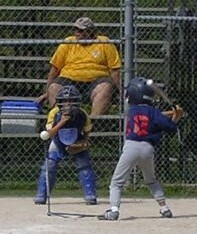 In many of the younger divisions everyone gets to hit in every game. Everyone on the team is in the batting order - not just the players in the field for that inning. And you will get a chance to try playing all positions in the starting divisions. 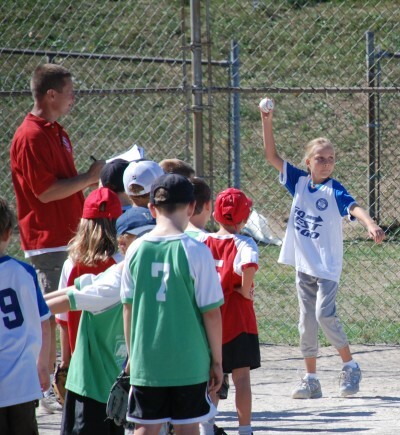 Many kids wait until 8 or 9 start playing baseball for the first time. Some kids start when they are even older. You should never be afraid to start playing. Your coach will make sure you get an oppotunity to participate, and work with you to improve your skills. So talk to your parents and let them know you want to play! Who knows, you might become a champion! You will be this old at the end of the year. You will play in the following division.